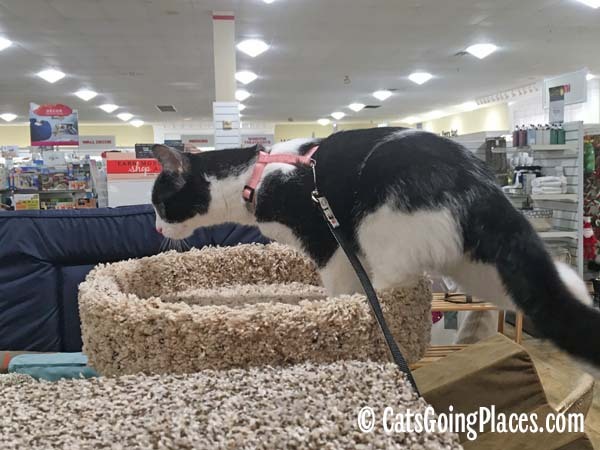 One of the stores I didn’t expect to discover was cat friendly is the home decor chain HomeGoods. It is their national policy to be pet friendly, and both of my nearest stores have welcomed Cupcake. 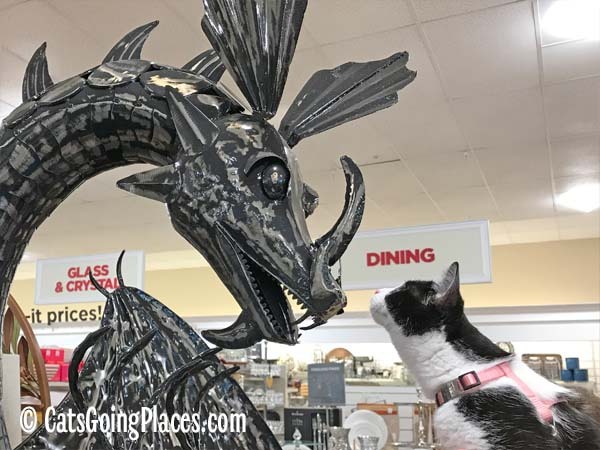 One thing I’ve noticed about visiting HomeGoods is that people are always especially excited to meet Cupcake there. 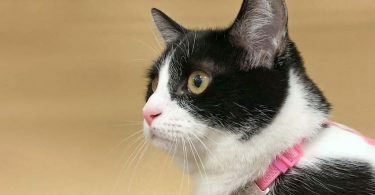 We can walk through a pet store and only have one or two people respond to her, but going into HomeGoods, she gets many more people stopping to ask questions. I think this is because there’s some surprise factor to seeing a cat in an unexpected location like that. People are surprised and delighted to see her, especially when they realize she is as fascinated by the merchandise as they are.  It might also be because there’s a higher chance of running into people who don’t have pets of their own at home. 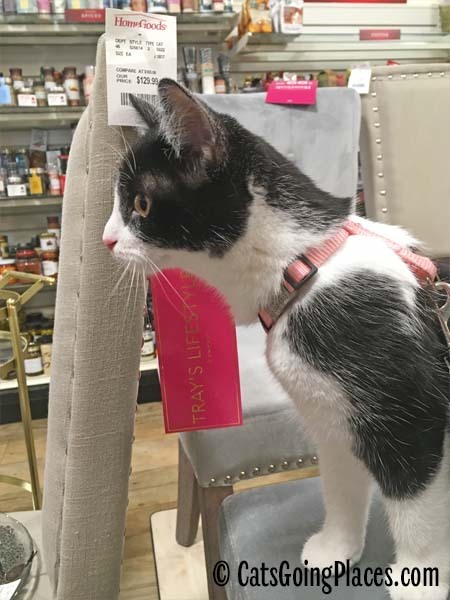 Taking a cat places means you will hear about lots of people’s cats, but taking a cat places like HomeGoods seems like I hear more about people’s previous cats. I’m not sure if that’s coincidence or not. Probably because HomeGoods isn’t a pet-oriented location, I also run into the problem of people not knowing how to approach Cupcake politely. Other shoppers sometimes approach me from behind and try to pet her without my being aware they are there. 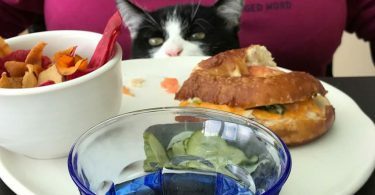 People who approach like that generally aren’t as cat-savvy, and they are more likely to grab her irresistibly cute paws or try to do the two-handed scratch on both sides of her face at once. 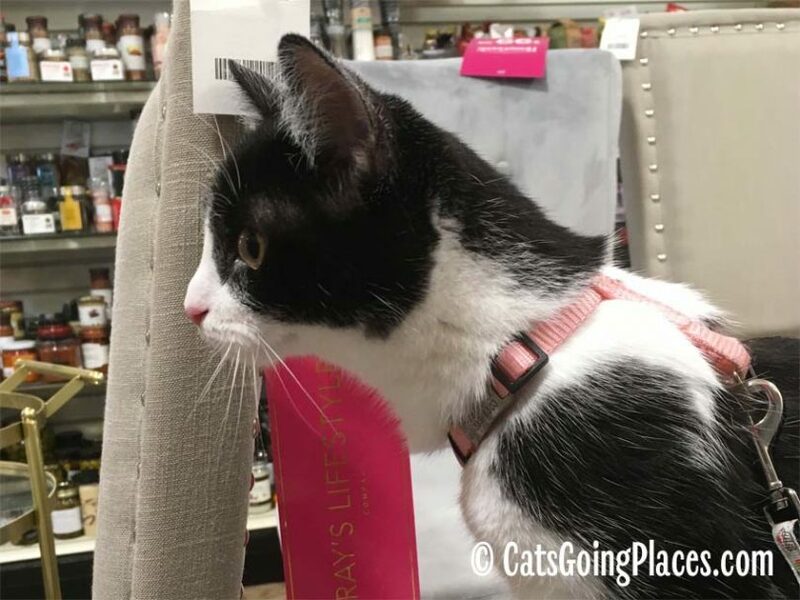 Those aren’t liberties that Cupcake is comfortable with strangers taking, so I try to be extra-aware of strangers when I’m carrying her through a HomeGoods and she is dangling her paws over my shoulder. Of course, wandering around a home decor store means there is furniture. Cupcake thinks any furniture is hers to explore, but I limit how much she sits on upholstered chairs because I don’t want anyone to complain about her leaving hairs behind. Cupcake is always the most excited when we reach the cat section, because she knows that she’s allowed to touch the goods there. 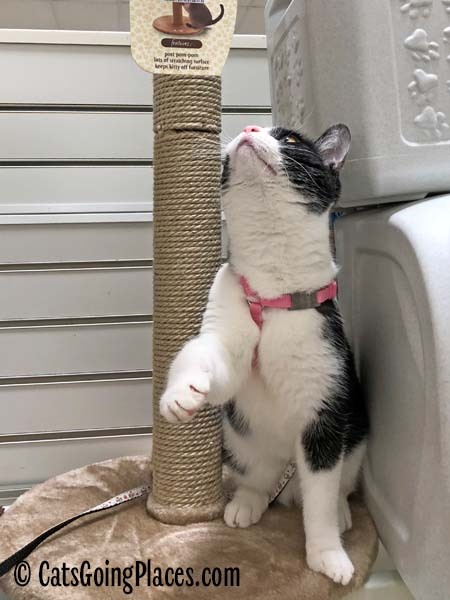 She knows the difference between a room divider shelf and a cat tree, and she wants to try out the cat trees to see if they are a good fit. 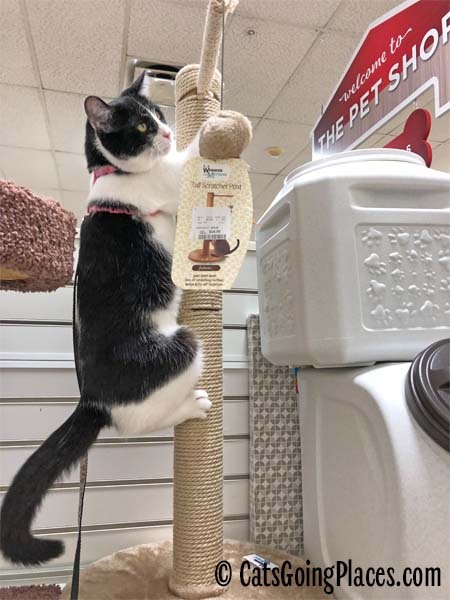 On our most recent outing, Cupcake especially liked the look of a cat tree with an attached dangling ball that stood on a top shelf. She asked to step off of my shoulder and get a closer look. That dangling ball was the most fascinating thing she had seen all day. When she couldn’t reach the dangling ball from her spot on the shelf, she decided to climb up and get a really good look. Up she went, her focus completely on reaching that ball. At this point, she was visible over the top of the row, and I got a little concerned that she was going to draw a little too much attention to herself. I tried to call her back down, but she was so busy practicing her Godzilla moves on the cat tree, she ignored me. 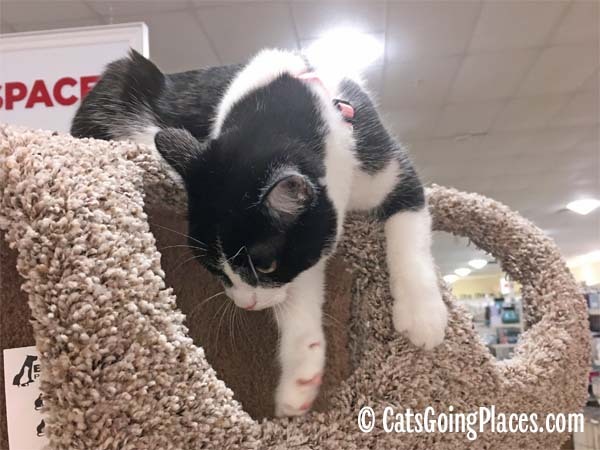 For the briefest moment, she looked over the top of the cat tree, and I wondered what I would do if she went over the top of the divider and into the next aisle. 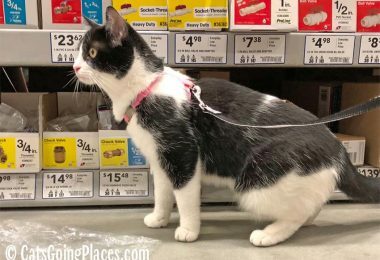 Her leash is four feet long, and I wouldn’t have been able to run around the end of the aisle while holding it. After what seemed like an hour but must have been no more than twenty seconds, she decided that she would listen to my requests to come back down the tree. I lifted her back onto her accustomed spot on my shoulder, and she grumbled a little at not getting to bring the dangling ball with her. “You need to buy that for her!” said a man’s voice. I turned and found the man who had spoken standing behind me, watching Cupcake. Four other people all stood around him, nodding agreement. “She has plenty of cat trees at home,” I assured him as a woman came around the end of the aisle. Cupcake had drawn quite an audience! “But she loves that tree.” I thanked the man and continued shopping, hoping he wouldn’t be too disappointed that we weren’t adding to Cupcake’s cat tree collection today. 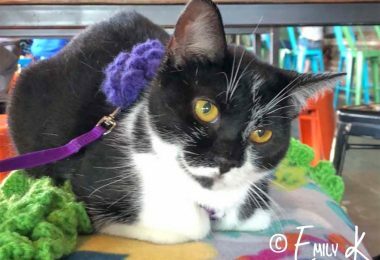 Cupcake promises she is going to stick to the cat trees where I can reach her from now on, but like any teenager, I’m sure that promise may not last if she sees another intriguing toy. It’s my job to keep her under control, and I will be keeping her closer during our shopping outings from now on! Meanie! I wonder if IKEA is pet friendly. She could get a lot of walking in plus she could jump in all those wall shelves. What a fun adventure! 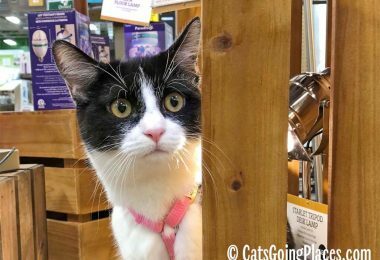 We have a Home Goods near us, but I’ve never been – my human rarely has a reason to shop there (she’s a VERY reluctant shopper at best). I hope she figures out something she needs so we can go soon! but she LOVES that tree.. buy it for her..